Almost 70kg of herbal cannabis, with an estimated street value of €1.3m has been seized at Dublin Port. The discovery was made on Tuesday during routine operations by Revenue officers with the assistance of detector dog Meg. 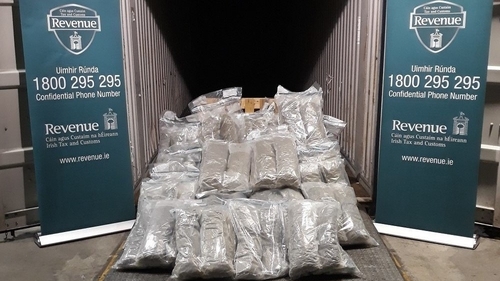 The 68kg of cannabis was found hidden in a consignment of goods which arrived in Dublin Port, having originated in Spain.